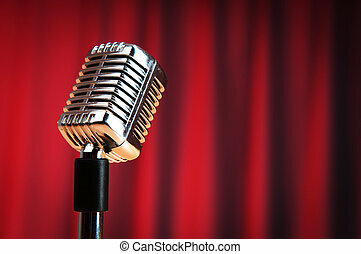 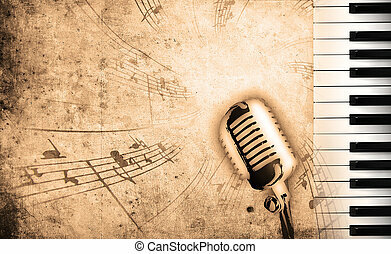 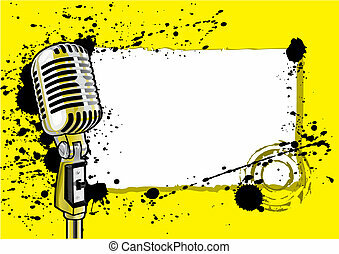 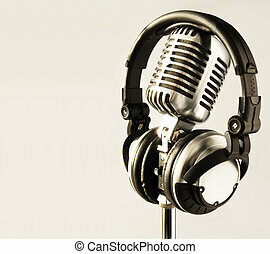 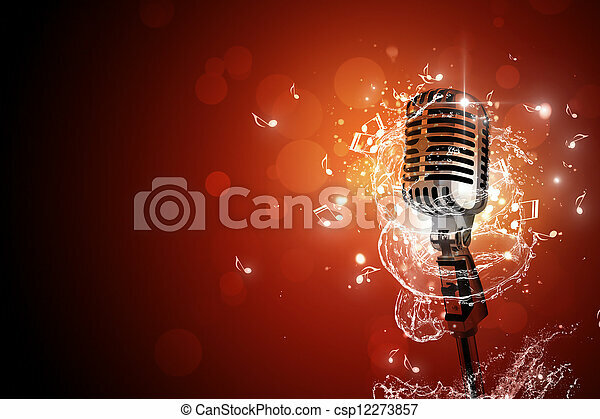 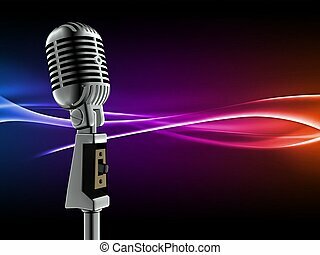 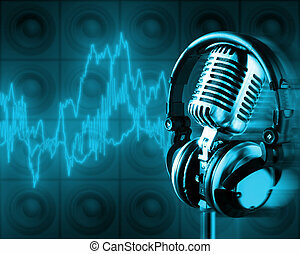 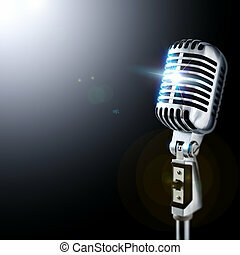 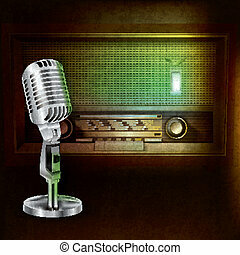 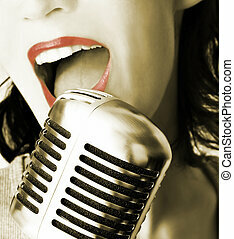 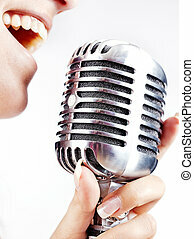 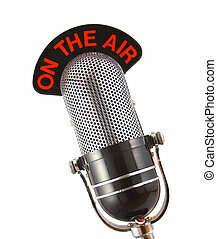 Retro microphone music background. 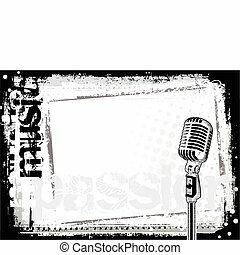 Party music background for flyers and night club posters. 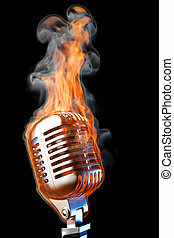 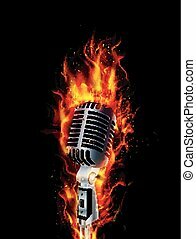 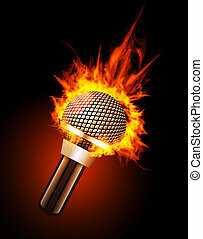 Microphone in Fire Isolated on Black Background.